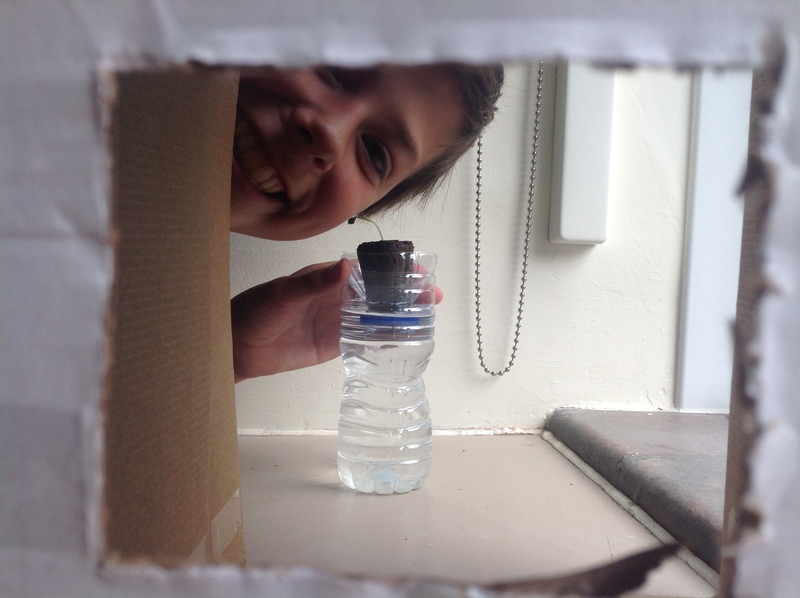 11 weeks on, Tim has returned safely to Earth and the year 7 scientists are still having fun with their Tim Peake Principia inspired biology experiments. 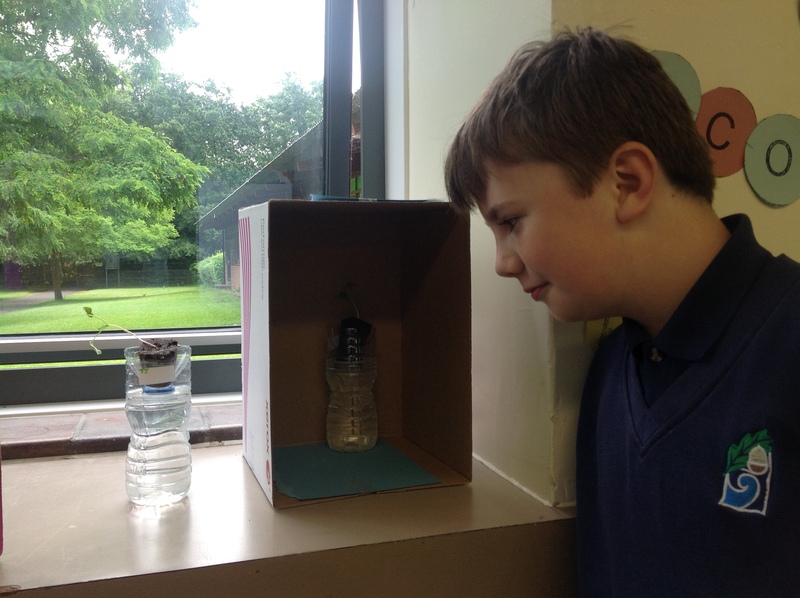 Phototropism, growing towards light, is being investigated by Elliot. Every lunchtime, plants are checked, changes are observed, we think about why these changes are happening, and the importance in relation to growing useful crops in space. Daylight verses Dark, is Todd’s experiment. 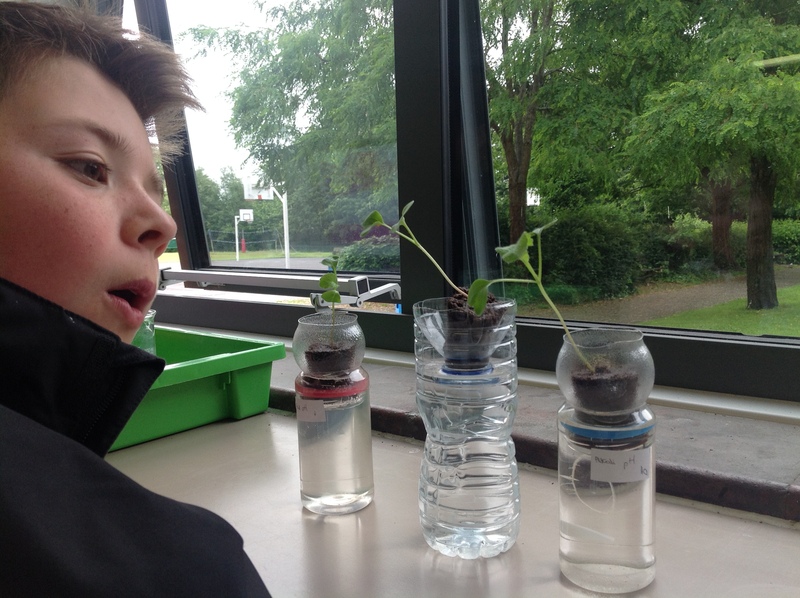 Acid/Alkali pH solution preference of the plants is Tom’s experiment. And quite clearly the radish plant much prefers alkali conditions, the plant in acid conditions is deteriorating, and it’s roots have shrivelled. Tropism, stationary plant verses spinning plant, is what Tom R. chose to investigate, with a small motor keeping one unit constantly spinning slowly, his plant generally grew quite straight, while his control plant remained still on the windowsill and very early on grew towards the window. 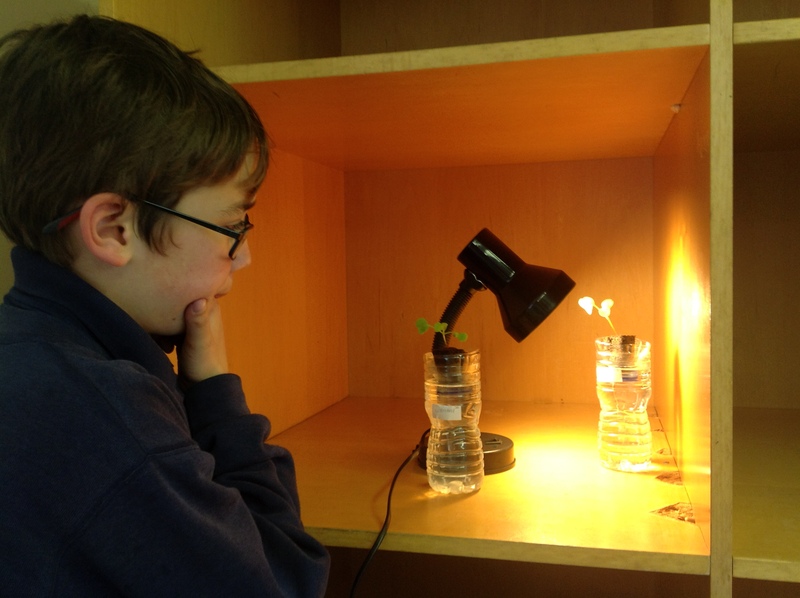 Comparing plant growth in Artificial light verses Sunlight, is Jay’s experiment, seen here comparing his plant growth with a control plant which has been in the sunlight. There is a massive difference in leaf growth now, so a low watt energy saving light bulb can do a better job than the Sun, especially with the summer weather we are experiencing. A light meter showed a percentage difference between 2% at 1pm and 30% at 7am. 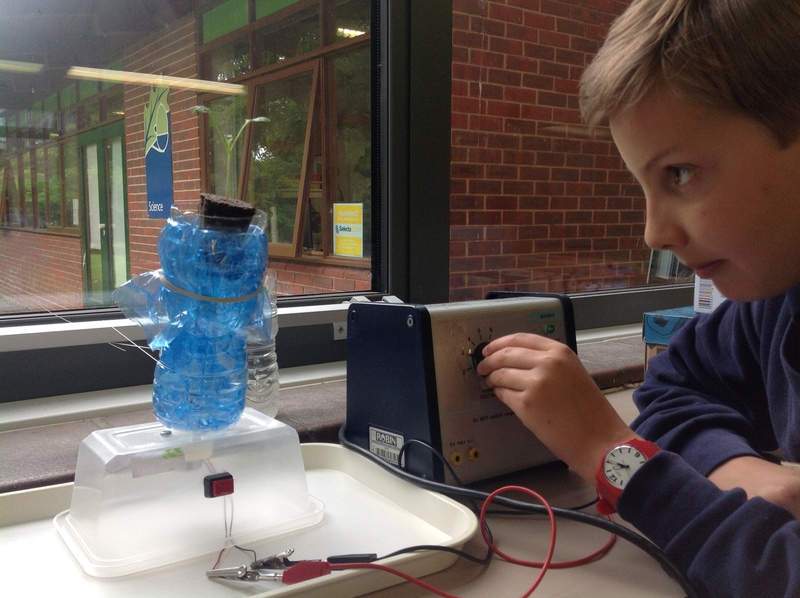 From the individual experiments, results are being seen, and conclusions are being made, and the boys have enjoyed their astrobiology experience, and I hope they go on to love science, use science and change the world! Our results become part of a big experiment, and who knows what effect it will have in the future. 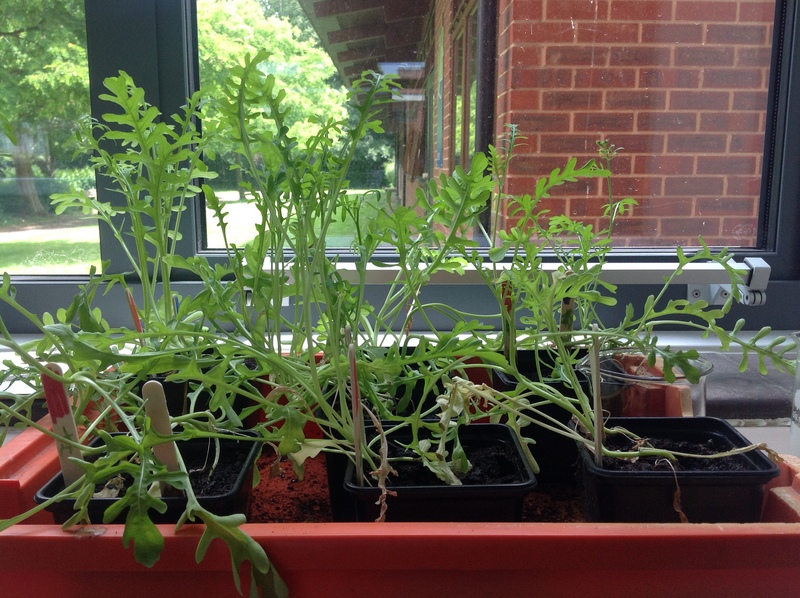 Thursday 23rd brought the official Rocket seeds result, and the boys were right! Blue packet seeds went to space!! 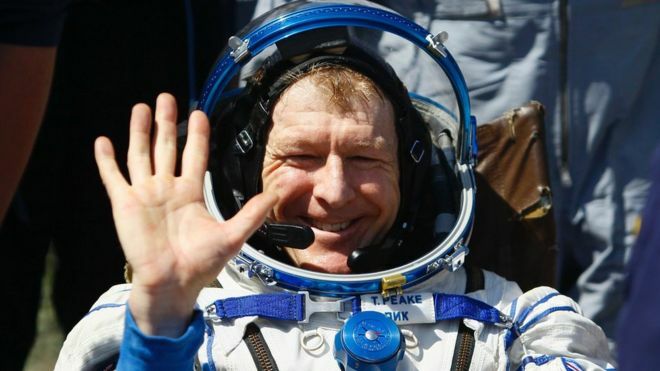 Posted by plandsscience on June 23, 2016 in Astronomy, science and tagged Astrotimpeake, ESA, principia, rhs, SpaceUK.